Your locally owned resource for all of the "ING" you need to do in the Wayzata and Lake Minnetonka area communities of Long Lake, Orono, Navarre, Deephaven, Plymouth and beyond. When you’re trying to make a lasting impression with printed materials, you want to consult with a local print expert. That’s where we come in. Stop by The UPS Store at 1161 E Wayzata Blvd to talk with a real person, someone that can help you design and print that perfect flyer, brochure, menu, invitation, banner or sign. We offer a variety of printed materials and are your local resource here in Wayzata for all of your printing and copying needs. With shredding services available at The UPS Store located on 1161 E Wayzata Blvd in Wayzata, you can get rid of your personal and business documents using one of the leading document destruction vendors, Iron Mountain®. Shred your items to help protect yourself and your business from identity theft. You can count on the printing professionals at The UPS Store Wayzata to help you make a lasting impression. We offer a wide range of printing and copying services to help you promote your small business or prepare for your personal event or presentation. Place your order online or stop by our store to get started. The UPS Store is your professional packing and shipping resource in Wayzata. We offer a range of domestic, international and freight shipping services as well as custom shipping boxes, moving boxes and packing supplies. The UPS Store Certified Packing Experts at 1161 E Wayzata Blvd are here to help you ship with confidence. When you open a mailbox at The UPS Store, you get a lot more than just a box with a key. You'll get package acceptance from all shipping carriers, mail receipt notifications, and a real street address in 55391, not just a PO Box #. Apply today. Looking for a notary public in 55391? The UPS Store at 1161 E Wayzata Blvd offers convenient notary services near you. Stop by today to get your documents notarized and check another item off your to-do list. The UPS Store offers convenient and affordable document shredding services in Wayzata, MN, provided by Iron Mountain®. Shred your items to help protect yourself and your business from identity theft. Traveling abroad? Need to renew your passport? Stop by today to get your passport photo taken at The UPS Store location on 1161 E Wayzata Blvd. Get easier checkout and flexible billing for your small business. Learn about opening a house account at The UPS Store on 1161 E Wayzata Blvd. The UPS Store certified packing and shipping experts are ready to provide solutions for organizing an estate. The details can be overwhelming - we're here to help. The UPS Store in Wayzata, MN is here to help individuals and small businesses by offering a wide range of products and services. We are locally owned and operated and conveniently located at 1161 E Wayzata Blvd., in Colonial Square Mall naer Lunds & Byerlys. While we're your local packing and shipping experts, we do much more. The UPS Store is your local print shop in Wayzata, serving the Twin Cities' western suburbs as well as the greater Lake Minnetonka community. We provide professional printing services to market your small business or to help you complete your personal project or presentation. We offer secure mailbox and package acceptance services, document shredding, office and mailing supplies, faxing, scanning and more. Everything for your small business, even shipping. The UPS Store in Wayzata, MN is here to help individuals and small businesses by offering a wide range of products and services. We are locally owned and operated and conveniently located at 1161 E Wayzata Blvd. While we're your local packing and shipping experts, we do much more. 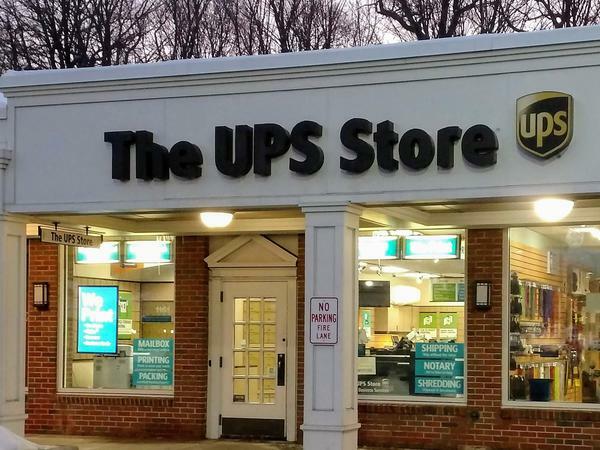 The UPS Store is your local print shop in 55391, providing professional printing services to market your small business or to help you complete your personal project or presentation. We offer secure mailbox and package acceptance services, document shredding, office and mailing supplies, faxing, scanning and more. Everything for your small business, even shipping. Convenient drive up parking in front - Large package acceptance at easy access back door. Our staff is always eager to help you with your packages. Call from your car for assistance. It's our decades of staff experience that sets us apart from the competition. Private Mailbox Services with Prominent Wayzata Boulevard Street Address. Big or small, We pack, and ship it all! Ask about our special printing discounts for our valued Non-Profit organization clients! We've got you covered. The UPS Store Colonial Square Mall in Wayzata, MN offers the following products and services. I hope that we will continue to have opportunities to provide services and products that can meet or exceed your expectations. Awesome service. You guys really know shipping!! We appreciate your business, and look forward to serving any of your Print, Pack, or Shipping needs again very soon. Great Customer Service from the whole team! In store at least once a week. Please let us know if there are ever any concerns or additional services that we can help you with. As always - We appreciate our business. Paul and his team are beyond helpful and very dependable! Thank you for your review and kind words about the store. It is certainly not lost on us, and we are well aware of the additional distances that you travel to be a valued customer of our store in Wayzata. I hope that our store and staff will continue to be able to respond to your needs of Fast, Efficient, Friendly and cost effective printing and copying for your businesses. We are always interested in any new projects that may be needed to complete. Best service on the planet! Great variety of marketing ideas, too! Thank you for your review of our store products and services. We have indeed been fortunate to work with you in the creation, print, and Graphic Design of many promotions for your businesses, and for the many Wayzata Area civic organizations that you graciously lend your time and talents. Excellent customer service and friendly. Thank you for the warm review of our services. We appreciate the opportunities to share our Printing services with you, and always welcome your visits to the store. Please let us know if there is anything additional that we may be able to assist you with. The Wayzata UPS store has always been amazing! Very quick and very detailed. We use them weekly. We love working with your group, and always enjoy creating Printed Products that will meet or exceed your expectations. We appreciate the opportunity to provide our small business suite of print, ship, and mailbox services for you. I look forward to celebrating our 20th year of relationship, and beyond. We appreciate all of the Print and other business that we are able to provide for you. I am glad that you appreciate and request the Proofing, as it does insure a higher quality experience. We look forward to serving you again very soon. It is indeed our privilege to work with you. Your need for accuracy is also beneficial to the overall quality of our services. We all especially enjoy the unique nature of each print project that you bring to us. You guys go above and beyond with every transaction from a major project down to the most minor with fair pricing. Always a pleasure doing business with your shop! We have really enjoyed the opportunities to Print and Design when requested on these many projects. Your work has done much to help add a higher beauty to the city of Wayzata as well. Paul Engleman took great care in picking up a very large oil painting at our house, building a custom crate, and shipping it to an auction house where it will be sold. The auction house was so impressed with the quality of the crate that they are offering it as part of the auction package in the printed catalog. That shows you the care and attention to detail that the UPS Store in Wayzata consistently delivers for its customers. Thanks, Paul! Mary W.
It was very interesting to see your beautiful framed Artwork being displayed in the Art Auction Catalog. Thank you for showing this to me. I really enjoy the opportunities to Crate and Pack these unusual items for my clients, and knowing that it is appreciated is very rewarding. Estate Packing and Shipping is really an interesting part of my business. I look forward to your next project. Excellent service over many years. They never disappoint and get my work to clients safe and sound. Thank you for your comments about our Artwork Packing, Crating and Shipping service. I find your artwork to be very beautiful and interesting. It give our store some unique challenges to find the best combination of speed, cost and service level to ensure that you always get the fragile Glass items delivered intact - and on-time and on budget to your clients. I hope that you continue to create and sell your great art for years to come. The challenges keep us sharp. Thank you for the note about your service at the store. We are fortunate to have the opportunity to provide services to you.